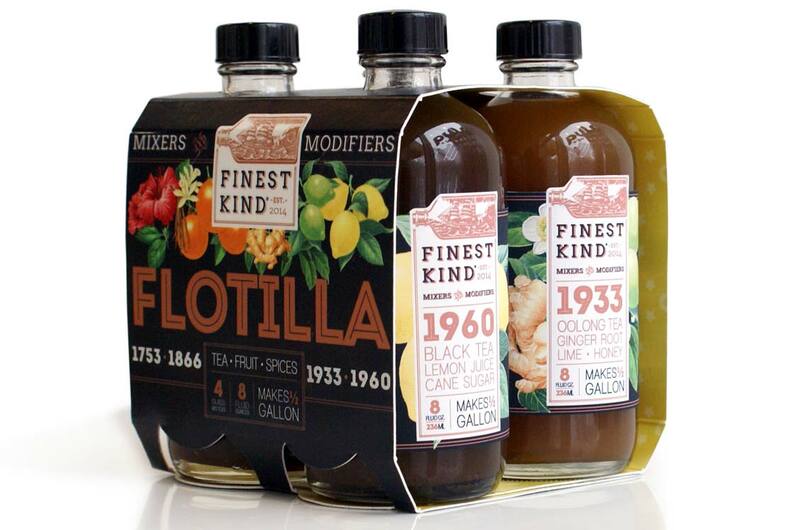 Jay Lombard had two traditions he wanted to honor with his rebranded tea-mixers. He sought to weave an homage to his family’s history as maritime merchants with a timeline-tribute to tea. Jay hoped a new look might inspire consumers to give the product he developed as a healthier alternative to sugary sodas a second glance before rolling past it down the aisle. Jay turned to Pulp+Wire to help steer him towards his goal. 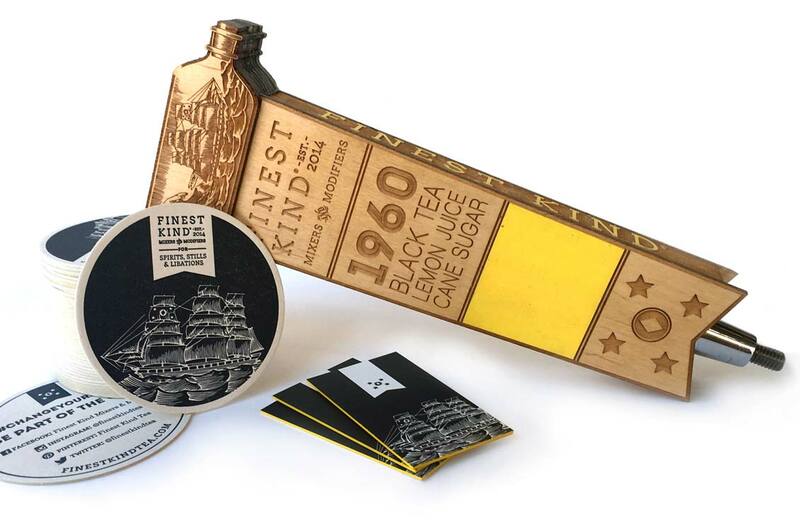 We developed copy and art to enrich both the storyline and visual appeal of each of Finest Kind’s four signature products. Product stories shared details of signature dates in beverage history. These cameos included mentions of: the publication of the first book of plant botany (1753), the Great Tea Race from China to Britain (1866), the drink deviations Julius Stroh made to help his brewing company persevere through the end of Prohibition (1933), and Arnold Palmer’s celebrated creation of his signature tea/lemonade drink (1960). The finishing treatment on the custom die-cut labels was designed to match the richness of these stories. They included areas of spot gloss to highlight ingredient illustrations by nationally-recognized illustrator, Bruce Hutchison, a copper-colored metallic stock that spotlit key typography and graphic details, and an ingenious “porthole” in the label that revealed a ship-in-the-bottle printed on its back side. We went even further to put a new spin on both packaging and positioning to launch Finest Kind’s fleet of products by creating flavor-focused slow motion videos for the website, trade show booth graphics, and collateral. 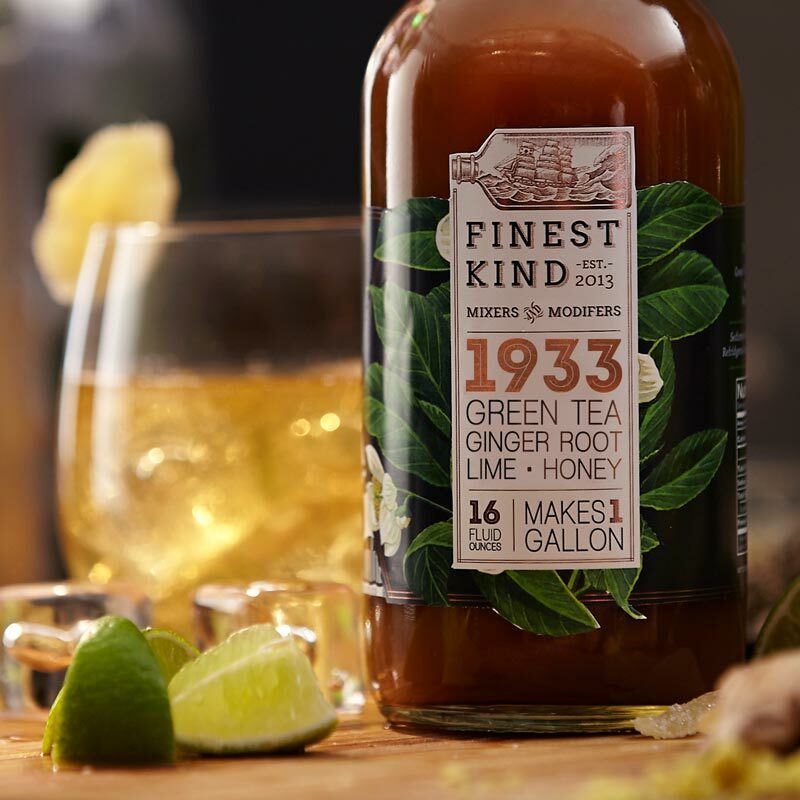 Rebranding the line as “mixers and modifiers” immediately announced Finest Kind’s use in libations as well as still and soda water. The series’ sparkling new shelf presence in the liquor aisle did double-duty to increase sales. Its refined design and unique position immediately caught consumers’ attention while educating them on products that put a new twist on conventional cocktails. 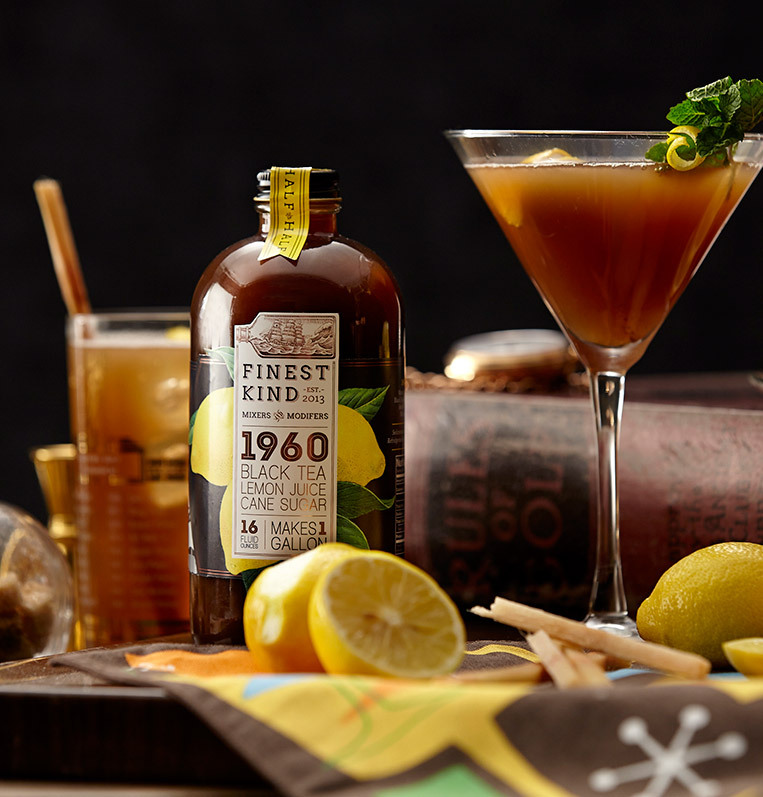 Once those customers snagged a bottle, the opportunity to use Finest Kind as a mixer for non-alcoholic drinks was in the bag.